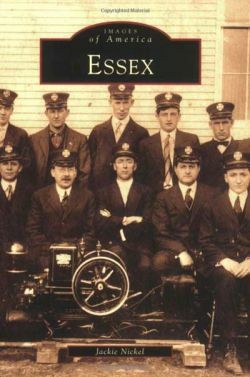 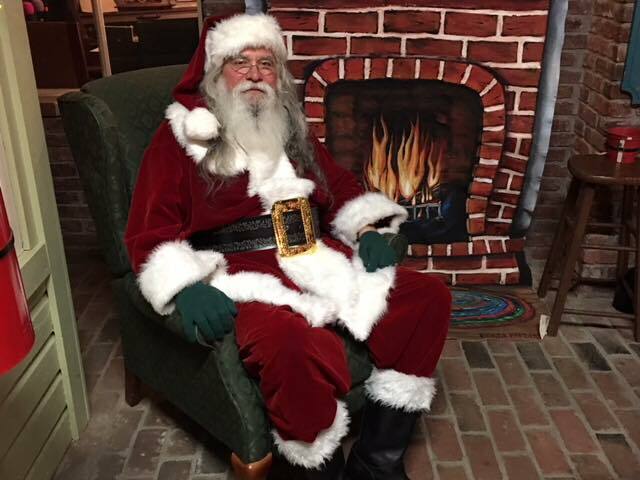 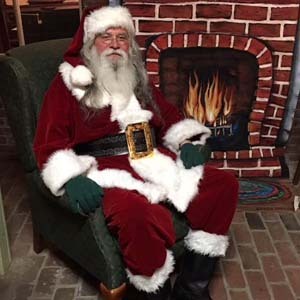 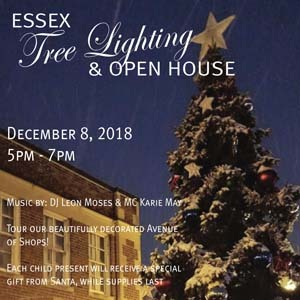 For our 2019 Annual Open House and Tree Lighting we planned a fun family event with a visit from Santa courtesy of Essex Volunteer Fire Company, gifts for the kids, music by DJ Leon Moses and MC Karie May, snacks and more. 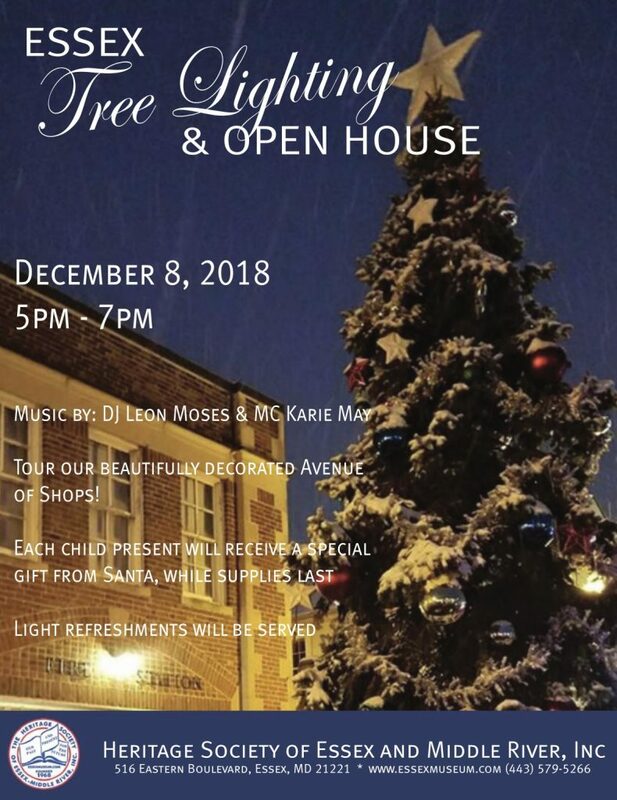 Our tree has been generously donated by Paul Stiffler of Frostee Tree Farm in memory of its founders, George and Helen Winter who ran the business for more than 30 years. 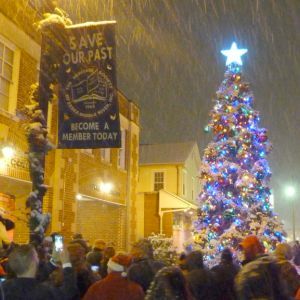 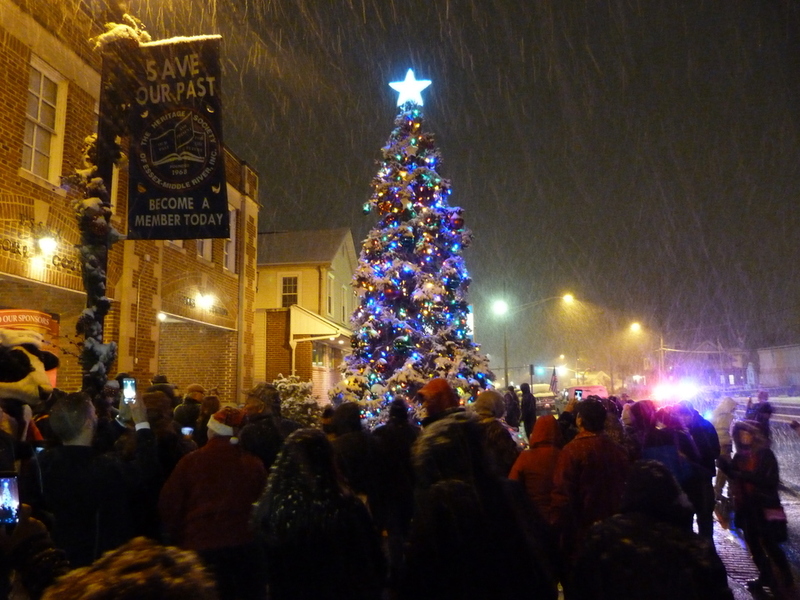 Special thanks to our tree lighting committee members from The CORE Group, CLIFF’S HI-TECH AUTO BODY SHOP INC., Weavers Marine Service Inc, Back River Restoration Committee, and Stiffler’s Service Center.